Aretha Franklin needs no introduction. The gospel, R&B, soul and sometimes-jazz singer has won 18 Grammy awards and worldwide recognition over the course of a storied career spanning six decades. At 72 years old, she doesn’t need to reinvent herself or prove herself; her legend and her legacy have been established. She’s the original queen (Beyoncé can bow) and an artist to whom society as we know it is indebted. Franklin’s powerful voice still exudes confidence and emotion in the ballads in particular—Etta James’ “At Last” and Gene De Paul’s “Teach Me Tonight.” But on the over-overdubbed tracks (like “Midnight Train To Georgia,” in which backup singers compete with Franklin for the spotlight), it seems like the production is trying to overcompensate for Franklin’s age, rather than letting her natural talent and passion shine. 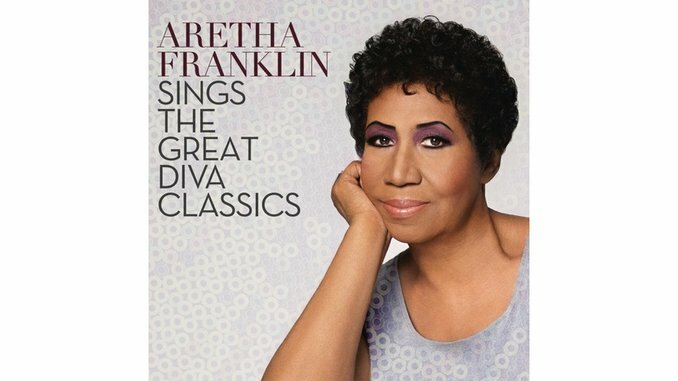 The best tracks on Aretha Franklin Sings The Great Diva Classics actually come in the form of mashups. Franklin integrates Destiny’s Child’s “I’m A Survivor” into a nu-disco version of Gloria Gaynor’s “I Will Survive” and mixes Nikolas Ashford and Valerie Simpson’s Motown classic “Ain’t No Mountain High Enough” into Adele’s “Rolling in the Deep.” These clever reinterpretations serve to bridge the old and the new, connecting the original Queen of Soul to the generations who will continue to follow this musical role model.